Located about an hour’s drive from Amarillo, Palo Duro Canyon is the most spectacular scenic landscape feature in the Panhandle of Texas. 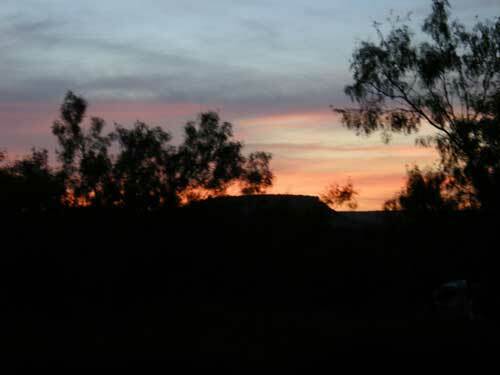 The canyon appears almost without warning, a jolting razor cut through the flat grasslands of the Llano Estacado or “Staked Plains.” Early Spanish Explorers are believed to have discovered the area and dubbed the canyon “Palo Duro” which is Spanish for “hard wood” in reference to the abundant mesquite and juniper trees. The canyon was carved into the eastern cap rock escarpment of the High Plains over the past ninety million years by water erosion from the Prairie Dog Town Fork of the Red River, which deepens the canyon by moving sediment downstream. Wind erosion and rockslides help to widen the canyon further. The head of the canyon lies fifteen miles southeast of Amarillo in Randall County, and the canyon extends sixty miles southeast through Armstrong County and into Briscoe County. It reaches depths of 800 feet from rim to floor (approximately 3,500 feet to 2,400 feet above sea level) and average widths of more than six miles. Palo Duro is so big, so deep, it can create its own weather, with wind sucked down into its gullies and draws, ricocheting off red rock and sand, seeming to blow from every direction at once. Whispers spew up out of the canyon, echoing across time. The government’s “relocation policy” consisted of columns of Cavalry troops converging from five directions on the Panhandle Plains Indians over a six month period. The 4th Cavalry under Colonel Ronald S. Mackenzie moved north from Fort Concho tracking a large band of Indians to their secret canyon camp. Mackenzie’s troops surprised the Indians by moving silently at dawn down a perilous path on the south rim. As the first cavalry men reached the floor of the canyon, Native American warriors took up positions on the canyon walls and began firing down on the troops. This tactic gave families time to escape, but Mackenzie ordered their camp and supplies burned before the Cavalry withdrew, taking 1,400 horses that had belonged to the Comanches (1,000 of the horses were later destroyed). Cut off from their only means of transportation and having the majority of their possessions destroyed, the Comanches, Kiowas, and Cheyennes soon surrendered and returned to Oklahoma’s Indian Territory. A few years later, in 1876, Charles Goodnight drove a herd of cattle into the canyon and established the first commercial ranch in the Panhandle, the JA, which eventually supported over 100,000 Longhorns. The canyon would be the domain of cattlemen for the next half century, though it also became a popular picnicking and camping place for residents in the surrounding area. 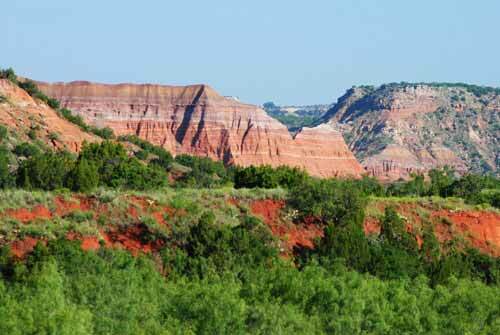 In 1933 the state of Texas purchased land in the upper canyon to establish Palo Duro Canyon State Park. Today the park, which includes more than 15,000 acres, annually receives over half a million visitors. The Texas Parks and Wildlife department manages the park, maintaining a delicate balance between recreational use and the preservation of the canyon’s history and heritage. 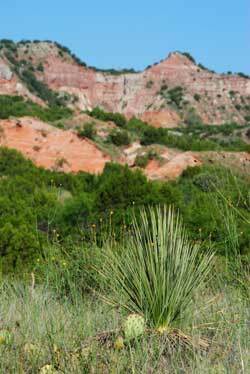 The Palo Duro remains awe-inspiring. Sacred spirits float along the red cliffs, while down in the canyon bottom, campsites are tucked in among the cottonwoods and mesquites. Steep walls of bright, banded layers of orange, red, brown, yellow, grey, maroon, and white represent four different geologic periods spanning over 240 million years. Adding to the canyon’s grandeur are numerous pinnacles, buttes, and mesas that define a rugged skyline. 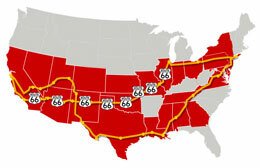 Sixteen miles of scenic drives wind through the canyon, crossing the Prairie Dog Town Fork of the Red River at six locations. The road from the rim to the floor was built by the CCC in the 1930s, using a route based on early Indian trails. A small pull-off on the road’s upper switchbacks offers long canyon views. Visitors are advised to monitor the depth gauges beside the six shallow-water crossings and not to enter if the flow exceeds 6 inches (rainstorms upstream cause flash floods several times a year, a continuation of the ancient process that helped to carve the canyon). The park has an assortment of camping options — everything from primitive sites to sites with full hook-ups to comfortable cabins situated on the rim of the canyon. Stunning natural beauty abounds. The dominant vibrant red color of the earth comes from the iron oxide present in the rocks. The greater the content of iron, the redder the color. Plan to start your activities as early as possible, especially during May-September, as summertime temperatures can be brutal in the canyon. With temperatures ranging from the 90’s to 100 degrees, visitors should not attempt long trails in the heat of the day. 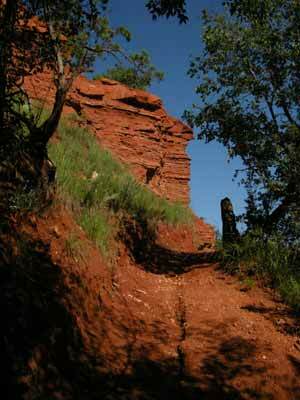 30 miles of marked trails are available for hiking, mountain biking, or horse riding. Most lead to the famous Lighthouse formation, a 75-foot-high shale and sandstone pinnacle towering high above the canyon floor. But the Lighthouse is just one of many unique geological formations in the park. Other prominent formations include the Capital Peak, the Spanish Skirts and the Devil’s Slide. Trails are fairly flat along the river in the canyon floor, but hard-core hikers can find plenty of altitude on other routes. Not surprisingly some of the best scenic views are along the Lighthouse Trail, a moderately difficult, 5.75 mile round trip multi-use trail that climbs 940 feet through some stunning rock formations to the park’s hallmark hoodoo. 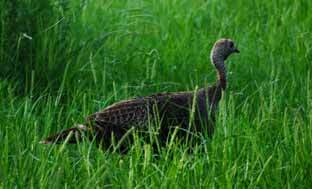 And no matter which trail you choose, you might see wild turkey, roadrunners, whitetail and mule deer, barbary sheep or even a few Texas Horned Lizards. On summer evenings, the Texas Outdoor Musical Drama plays against the spectacular backdrop of the canyon walls. From the dramatic opening when a lone horseman gallops high above across the rim of the canyon, to the final fireworks extravaganza, the audience remains engaged. “Texas” is a fun and entertaining introduction to the region’s history. This elaborate production is staged at the outdoor amphitheater annually, and it’s had a successful run for over 40 years. Don’t miss the pre-show steak dinner catered by Amarillo’s Big Texan Steakhouse (famous for their free 72 oz. steak). Juniper Riverside Trail: Located at Water Crossing #6, the Juniper Trail is the latest addition to the park trail system. It is 2 miles roundtrip and intersects the Sunflower Trail. This is the trail is shady with several easy climbs. Capital Peak Trail: This trail is not recommended for hikers and runners. The trailhead is located on Alternate Road 5 and is 4 miles total distance. There are three levels of difficulty for various biking skills (Green-Easy, Blue-Medium, Black-Hard). Horses are prohibited. This entry was posted on Wednesday, January 18th, 2012 at 4:44 pm. It is filed under The Great Outdoors and tagged with adventure, amarillo, attractions, camping, canyon, cowboys, fireworks, hiking, history, landscape, native americans, palo duro canyon, performance, texas, wild west. You can follow any responses to this entry through the RSS 2.0 feed.